Dumped on the cold city streets, sat in a kennel desperate for a family - how much can one little girls heart take before she gives up all hope? Remeber a time in your life when you were betrayed by someone you loved, trusted, and gave your life to, who let you down in the worst way. Such is the case for a 3 year old male Poodle pup named JULIAN, who makes his new life at the San Bernardino City Shelter, CA. I am a male, white Poodle - Miniature mix. Shelter staff think I am about 3 years old. I have been at the shelter since Dec 22, 2017. 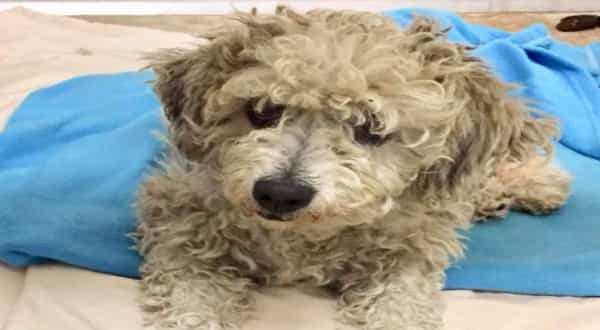 Julian is a 3 year old male Poodle, listed as injured. 1 Response to "Sadly, No-one saw him as worthy of saving so Julian now on euth URGENT list"